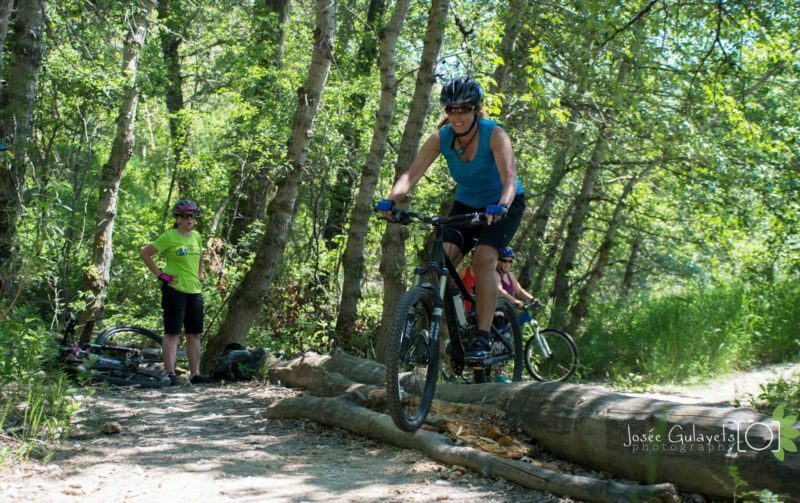 This weekend workshop is for women who have little or no experience on a mountain bike and would like to learn the fundamentals of riding in a fun, safe, professional, and supportive environment. The program will start with a morning of mountain bike skills in an open green field. In the afternoon we will hit the trails to go practice what we’ve learned. Our weekend workshops are the perfect way to have an overview of mountain biking, and to improve your skills, to be more confident on your bike, and have fun with your new Shred Sisters friends! May 25th & 26th with Deanne* Course full Email us to be added to the wait list. I did the beginner’s mountain biking workshop in Calgary, and it was fantastic. I really appreciated that I was able to do the course so close to home, and I now know some places I can easily go back to practice the skills I learned. The small class size was great – it enabled our group to get to know one another and really cheer each other on! I also felt that because of our small group size, we were able to get much better individual feedback from the instructor. I would most definitely recommend this course!